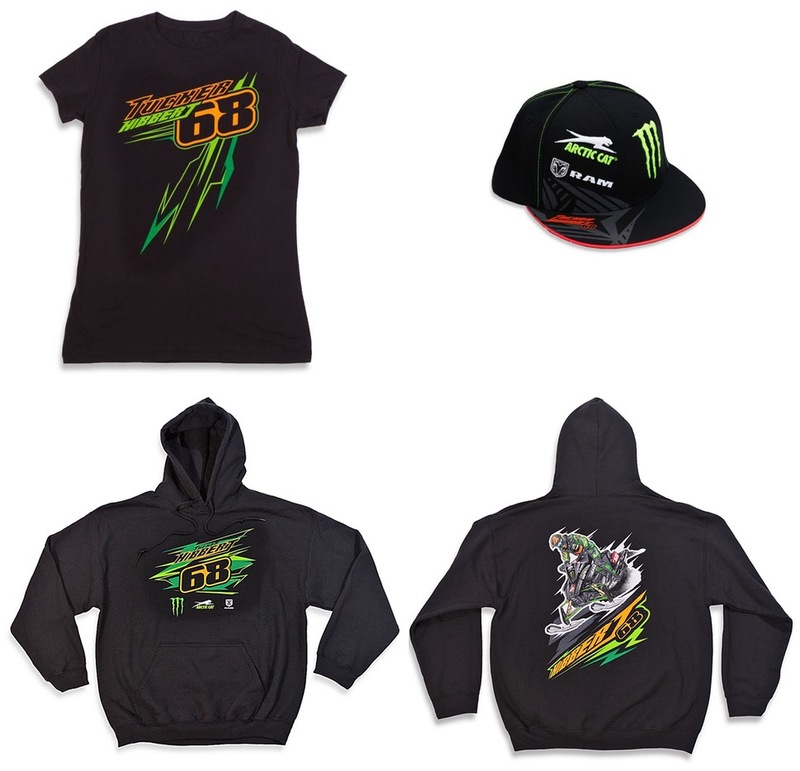 Tucker Hibbert’s 2016 official merchandise is now available. All new clothing for men, women and youth are in stock and ready to ship. Hibbert’s merchandise line offers over 20 uniquely branded shirts, hats and accessories that are available exclusively through his online store and trackside at every stop of the ISOC National Snocross tour. The Tucker Hibbert online store features same-day shipping to customers in the US, Canada, Denmark, Finland, Iceland, Norway, Sweden and the United Kingdom. On-Site: Tucker Hibbert’s official merchandise booth is trackside at every stop of the 2015/2016 ISOC National Snocross tour. The official snap-back hat of Tucker and his crew. Monster Energy, Arctic Cat and Ram Truck logos are featured in raised embroidery. The brim features his number in orange and is accented by grey graphics. Bright green and orange graphics highlight Tucker’s name and number on the front with a detailed image of him racing on the back. 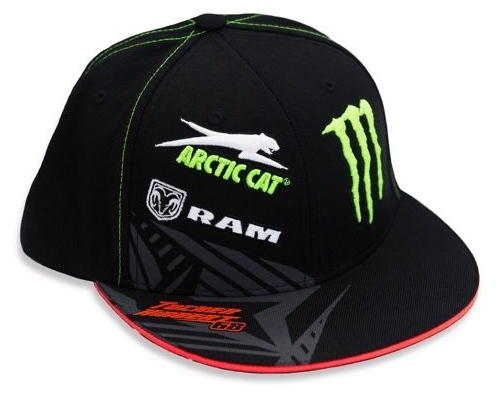 The adult version also features the logos of Monster Energy, Arctic Cat and Ram Truck. The T-Train hooded sweatshirt is available in adult and youth sizes. 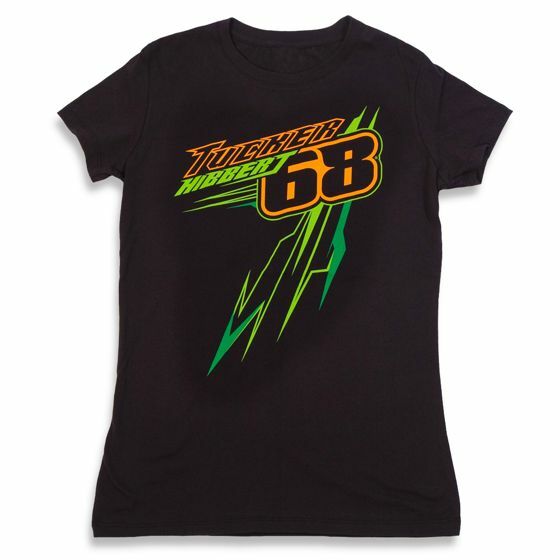 Tucker’s name and number are framed by bright green and orange graphics on a fitted, soft touch t-shirt.